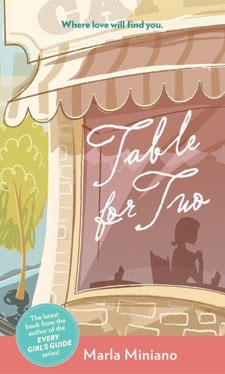 Table for Two is written by Marla Miniano. It tells about the lives of its lovelorn characters at different stages of romance. Dating, couples who stopped loving each other, a man who meets the girl he loves and a young lady who is waiting for the love of her life. Visit FemaleNetwork for full contest details.